don't get caught: A Q from #AF4Q: How do I get my comms director to omit NASCAR slides? A Q from #AF4Q: How do I get my comms director to omit NASCAR slides? 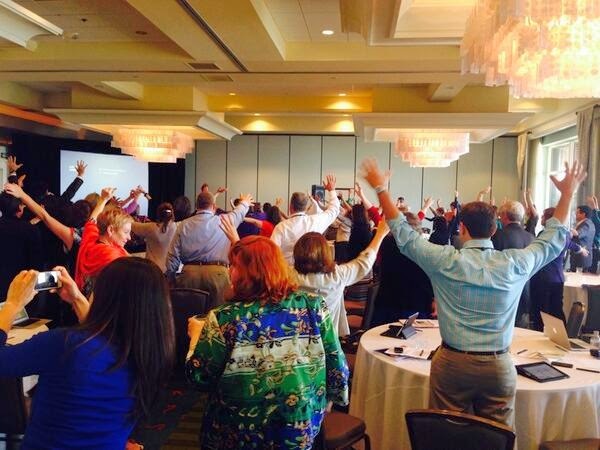 I planned for a lot of questions in my workshop on How to give a killer presentation at the annual meeting of Aligning Forces for Quality. It's a national program of the Robert Wood Johnson Foundation--a former employer of mine--that brings together health coalitions in communities around the nation, aiming to find ways to improve health and health care. But one question stopped me in my tracks. "You say to get rid of those NASCAR slides. How do I convince my communications director to agree to that?" I've written on my public speaking blog, The Eloquent Woman, about slides you should delete from presentations, including NASCAR slides. 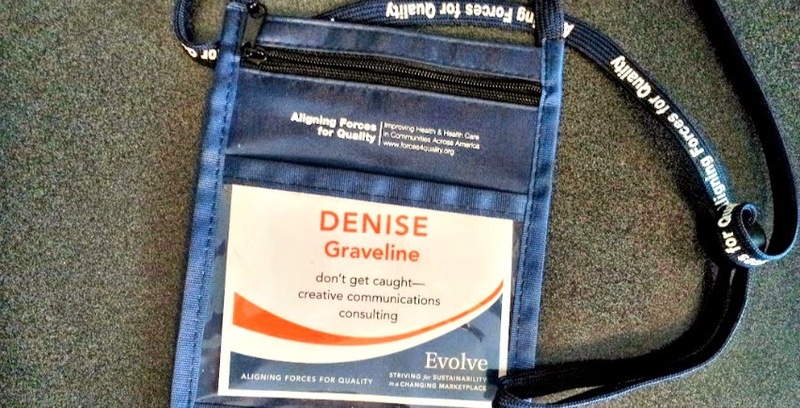 AF4Q readers, this is my other blog, the one that speaks to communications pros. True confessions? I've been a communications director many times over. You know what I mean by NASCAR slides: They have logos galore, representing all your partners, funders or sponsors. In some academic settings, the logos get replaced with long lists of the names of the many graduate assistants who worked on a study, but it's the same effect. This questioner really got at an everyday barrier to better presentations, and I'm sorry, but not surprised, that comms directors are the culprits. I know there's pressure to make sure all those sponsors are acknowledged, I know that NASCAR slides seem to be an efficient, one-and-done way to ensure that happens every time. But in fact, they don't add any nutritional content to a presentation, nor do they provide the intended thanks. For the speaker, there's little to say except, "Here are our sponsors," and a click to the next slide. "...and it's at this point in the research that Fred Smith, one of our wonderful graduate assistants, identified the change that made this result possible." "You may not be aware that very few foundations fund the constructing of a building, so the Anningdale Foundation's willingness to support that work was crucial to the homeless shelter we have today." "When Alicia Aebersold invited me to speak to you today, she made sure I understood that you wouldn't want the usual advice on giving presentations. And she was right!" "You may have heard that Celcomp is one of our sponsors, but you probably don't realize that its CEO, John Jones, has been a mentor to me since my undergraduate days. It's so special for me to still be working with him, this time on a community-wide food bank." Yes, communications directors, I know what you're thinking: That. Takes. More.Work. But it also Gets. Better. Results. So here's what to do: Go to the people to whom you've previously issued NASCAR slides. Tell them they're in charge of thanking people, appropriately and in context. Give them ideas for how to do that. Tell them you don't want to get calls from angry sponsors who feel ignored. 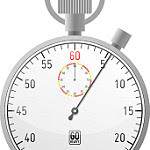 Then try this approach for six months or more, so it becomes a habit. I predict you won't want the NASCAR slides once you've tried such a pilot project. People sitting in the audiences of your presenters have many identities. Some are "just audience members" to you, but they also may be thinking about places to give donations, looking for business partners, wanting the services or products you sell. They might be reporters or bloggers whose attention will be piqued by a story nugget encased in that acknowledgment. They might have something to offer you haven't anticipated. 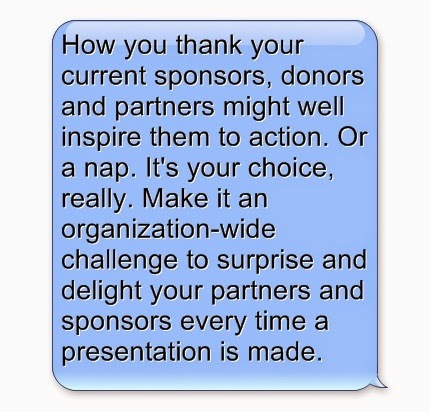 How you thank your current sponsors, donors and partners might well inspire them to action. Or a nap. It's your choice, really. Make it an organization-wide challenge to surprise and delight your partners and sponsors every time a presentation is made. One of the best examples of this I've ever seen belongs to Jennifer Granholm, when she was governor of Michigan. It's billed as a speech in which a $1 billion semiconductor was being announced, but in fact it's announcing something even more yawn-inducing to some communicators, the granting of a right-to-compete designation to two companies to produce solar panels as part of a larger state energy policy. And it required the thanking of legions of people. If we are honest, this is the kind of speech that many speechwriters and communications directors dread or push to one side, because listing lots of sponsors, honorees or acknowledgments doesn't involve great wordsmithing or communications excellence. But in Granholm's hands, this speech does both those things. Listen to and watch her artful and lavish thank-yous in the video below. I've rarely heard--but would welcome hearing--speeches in which this task has been handled as well. What could easily have been a NASCAR-slide episode left people feeling well-treated and eager to do more, something no slide can really accomplish. One final note, for the speakers: You'll see advocates of the NASCAR slide more often in marketing operations than in communications shops, and perhaps the distinction means little to you, but it has to do with brand management. Regardless, you should take charge of this situation. Sit down with your communicators and talk about making thanks a more authentic and interesting part of your presentations, and assure them you'll be assiduous about it. Then follow through. Who knows? Working together, you might be able to shift this ridiculous presentation practice. Be an Expert on Working with Experts is the workshop I wish I'd had earlier in my communications career. Designed specifically for communications pros who work with subject-matter experts, scientists, policy wonks and other technical professions, this one-day session next takes place on June 19 in Washington, DC. Seats are already filling....so join us!